Adopting a child is a lifelong commitment. You could change a child’s future by becoming an adoptive parent and making a positive difference to their life. We are interested in hearing from people from all backgrounds who can provide children with a secure and loving home. Adoption is a way of providing a new family for a child when living with their birth family is not possible. It also gives people the chance to start a new family or extend their existing one. When you adopt a child you take on all of the legal rights and responsibilities for the child. The Adoption Statement of Purpose provides details of our adoption agency. There is no such thing as the ‘ideal’ adoptive family. We are not looking for perfect parents who have not had any difficulties in life. In fact, we realise that people who have faced problems and worked through them are often stronger for the experience. It is not important if you live in a house or flat or whether it is owned or rented, just that you have a secure tenancy, there is enough space and it is safe and secure. We welcome enquiries from people from all walks of life and all different ethnic, religious, and cultural backgrounds to meet the needs of a wide range of children who are waiting for adoption. 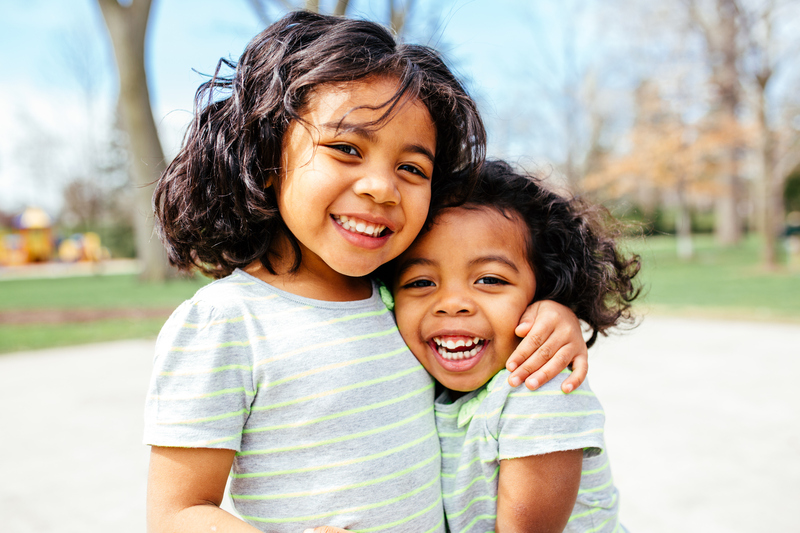 We are particularly interested in hearing from families who could consider children who tend to wait longer to be placed for adoption such as sibling groups of two or three children, older children whose background’s and needs are more complicated, children with disabilities and those of Black African or Caribbean heritage. We provide specialist support throughout the process to become approved as an adopter and after a child is placed with you through our Adoption Support Service. Families who adopt through Ealing are offered a range of different training courses and access to experienced mentors. We would be happy to answer any questions that you may have and to provide you with detailed information about what is involved in adopting a child . The first step is to contact our Recruitment Team who will have a discussion with you about your interest in adoption. You will be invited to attend an Information Session where you will have the opportunity to find out more about our services and get the opportunity to speak to someone from the adoption team and one of our adopters. If you are interested in going ahead after the information session then someone from the adoption team will call you to discuss your interest and arrange to visit you at home, if it seems that we have children that you would be interested in adopting. The process of becoming an adopter takes at least six months and is in two stages. The first stage starts after we have accepted a ‘Registration of Interest’ from you. This stage lasts for two months and is led by you. It allows you to consider in more detail what is involved in adoption and what it might mean for you. You will attend training and be given advice about reading materials and other resources that you can use to help you to develop your understanding of adoption and to think about whether or not it is right for you. We will undertake some references and checks such as medicals and criminal record checks. At the end of this stage we confirm with you whether you can to proceed to stage two. This stage lasts for four months and is led by your social worker. We will get to know you better and think with you about the children’s needs and what you would bring to adoptive parenting. You will attend further training and we will consider your experiences and strengths as well as areas where you might need more support. Once this work is complete your adoption social worker will write a Prospective Adopters Report (PAR) which you will see. The PAR will be considered by the Ealing Adoption Panel which is an independent group of people who have significant experience of child care work or adoption. There are children from many different cultural, ethnic and religious backgrounds who need an adoptive family. Most are over two years of age and there are very few young babies needing adoption. Some need to be adopted with brothers and sisters of various ages. Others may have an additional need such as physical or learning difficulties or a medical condition. Many have experienced difficulties in their birth family. This could include having a parent with a mental or physical illness or a child who has been physically, emotionally or sexually abused or neglected. All children needing adoption will have had at least one change of carer. Therefore, it is really important they have time to establish trust and make an emotional bond with their adoptive parent/s. Fostering for Adoption is a way of trying to provide a child with a permanent family from an early stage, to avoid the child having to move around. Where the local authority believes that a child is unlikely to return home, they may place the child with approved adopters (initially under fostering regulations), so that if the courts final decision is that the child should be adopted, the child is already in their forever family and disruption and delay is avoided. The child is therefore placed with carers at an early stage who may become their adopters and the attachment process between the child and adoptive parents can begin sooner. During this time, the approved adopters will be foster carers for the child and they may be asked to bring the child for contact with members of the birth family at a supervised contact centre. If the court agrees that the child should be adopted and the adoption agency approves the match between the carers and the child, then the placement becomes an adoption placement. The fostering for adoption carers will need to be able to deal with the uncertainty of this period before the court’s final decision. The court may not agree with the local authority’s plan for adoption for the child and the child may return to a birth family member. Occasionally a relative may come forward and wish to be considered to offer a permanent home to the child. So there is a lot of uncertainty for the adopter and that is something that anyone thinking about taking this route would need to seriously consider. At all stages of the process you will have the opportunity to discuss this further. We will also offer you training about Fostering for Adoption if it is something that you wish to consider. Step parent adoption is when you adopt your partner’s child or children from a previous marriage or relationship. You become the legal parent of the child or children and share parental responsibility for them. Both birth parents, or anyone else with parental responsibility will need to agree to the adoption. You will need to make an application to the courts. If you live in Ealing, you must notify us at least three months before starting your application. For further information about step parent adoption contact the adoption duty line on 020 8825 5241. Inter-country adoption is when you adopt a child from an overseas country. Being approved to adopt a child from overseas involves an almost identical process as when adopting a child from the UK. This also applies if you are considering adopting a relative’s child from overseas. A significant difference is that anybody seeking to adopt a child from abroad must pay for the assessment process themselves. When adopting from abroad, it is important to note that you must be eligible to adopt both within the UK as well as from the relevant country overseas. Sometimes the chosen country’s eligibility criteria might be different or more stringent than the UK’s. The Intercountry Adoption Centre (IAC) deals with all enquiries from Ealing residents who are interested in finding out more about adopting from abroad. They also prepare, train and assess Ealing residents who go on to be approved to adopt a child from abroad. IAC run a confidential telephone advice line. To find out more about intercountry adoption, please contact the advice line on 0208 447 4753 weekdays 10am to 1pm. For more information go to the Intercountry Adoption Centre website. Our responsibilities do not end when an adoption order is made. We are committed to supporting adopted children and their families throughout the course of their adoption journey. Each adoptive family will have different levels of need at different points in their life. To find what support may be available to you, please review the information on these pages.